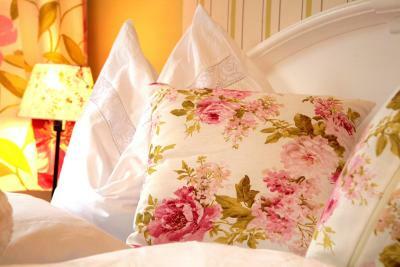 Lock in a great price for Hotel Martha – rated 8.5 by recent guests! The location and the breakfast served by the staff was not good for us. The breakfast itself is very poor. The lady serving the breakfast wasn’t that friendly. However the reception Steffens were so helpful. The internet service in the hotel is not good at all and very miserable. Just not clear about the idea of collecting the key by yourself for check-in because the reception is closed after 4!!. 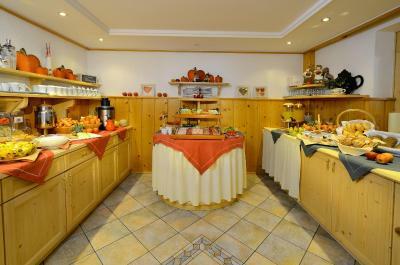 Location, staff, breakfast, parking, Zell am see summer cards, clean & comfortable. Reasonable price as well. The staff was very accommodating and answered all of our questions about nearby outdoor activities. The breakfast was included and it was a very tasty buffet. We also received the Zell am See/Kaprun summer card that gave us free gondola ride(s) and free/discounted excursions in the area. The entire area is rather pricey, but I think you get your money's worth at Hotel Martha. Bonus: there was a really friendly dog and a cute cat that you could hang out with if you'd like. What a great place. My wife and I had one of the best vacations we've had in years. The hotel is immaculate, the rooms huge, the views amazing!!! Hannah was such a great host. I can't recommend Land Hotel Martha enough. We have made plans to return next year with a big group of friends. Ski bus outside. Ski in the rear. Decor beautiful. Lovely Hotel with very friendly staff who were very welcoming and helpful. Breakfast was good with plenty of options. Situated within walking distance to the lake and restaurants with a good uphill workout on the way back! A great bonus was the Zell am See/Kaprun Summer Card - thanks Martha! Would definitely recommend Hotel Martha! A nice and cozy property not too far away from the city centre (40 mins walk). The room was clean and nicely decorated. The property had a lovely backdoor garden and the staff was friendly. One of our top picks in Zell am See.Right next to the slopes of the Schmittenhöhe Ski Area, Hotel Martha offers a quiet location with views of Lake Zell and the Alps. The Roman-style spa area includes two saunas. A ski bus stop is right outside. Free WiFi is featured throughout the property. The bright, nonsmoking rooms feature a balcony, cable TV, a refrigerator, and a bathroom with hairdryer. They offer views of the Schmittenhöhe Mountain or the lake. Hotel Martha has an on-site à la carte restaurant (closed on Sundays). A playground is available for children. The center of Zell am See is about a 15-minute walk away. It can be reached in only 2 minutes by car or public bus. Free parking is available on site. Individually decorated room with a balcony or a terrace, a flat-screen TV, a safety deposit box and a bathroom with a hairdryer. 1 extra bed and 1 baby cot are possible in this room type. Spacious room with a balcony, a TV, a fridge, a safety deposit box, and a bathroom with a hairdryer and bathrobes. This room is decorated in warm colors and comes with a bedroom, a living area and a private bathroom. 4 adults can stay at this room at an additional cost. 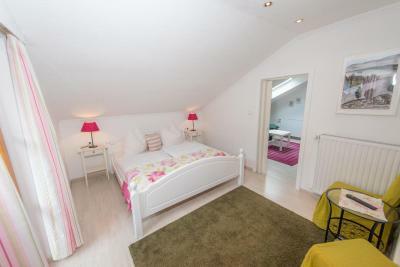 This double room features a furnished balcony or terrace and a bathroom with a shower. It is fitted with wooden furniture. Please note that extra beds are not possible in this room type, only 1 baby cot. Debit card Hotel Martha accepts these cards and reserves the right to temporarily hold an amount prior to arrival. Please note that the Roman-style spa is open according to opening hours on spot. The breakfast was good and the location was good. requested a packed breakfast as leaving at 6am but none provided. A fruit juice/croissant and banana would suffice. Beautiful place. Room was fabulous! The staff was very helpful. Highly recommended if self driving. The bathrooms are in bad condition (our sink was in bad shape and shower doors almost broken) The bed was too spongy so affected my back. Found the hotel too far from city centre and only accessible to car owners. Room too small for 2 people with luggage with no luggage racks making it difficult to move around the room without tripping over the luggage. Our vacation in Martha was just incredible! We planned to spend there just one night and then we extended our stay for two more nights. The stuff was amazing very friendly and smily. First night we tried their restaurant and the food was absolutely delicious! Loved it! We had very nice room with a beautiful view from our balcony and we could not be more satisfied than we were. The whole house was very cute with beautiful garden around. And the distance from lake was also great. Everything was so close. We also got a Zell am See and Kaprun summer card from the hotel and it saved us quite a good amount of money. Incredible! If we will be back in Zell am See we will stay in this hotel again for sure we loved it! We can recommend it to everyone! Actually everything, but mostly the people taking very good care, doing everything to make it a very nice stay. 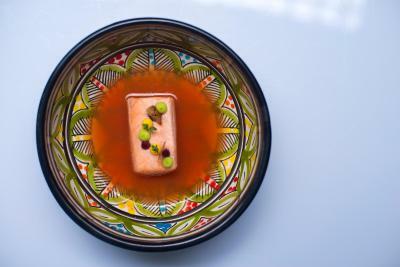 Floh’s restaurant is an absolute bonus. 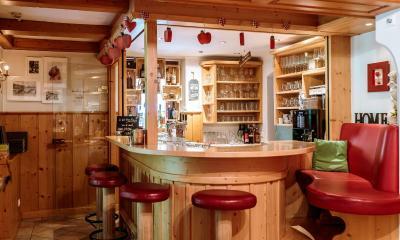 Charming hotel, close to the city center and the ski lifts. A great starting point for discovering the area. 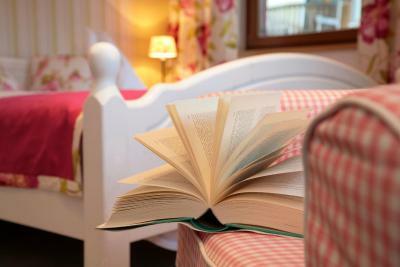 The staff is very nice, the room is comfortable and the whole hotel is very clean. Breakfast is super and eat on the terrace like in a fairy tale. Many sights can be visited for free or discounted with the summer card provided by the hotel. It was fantastic 5 days!